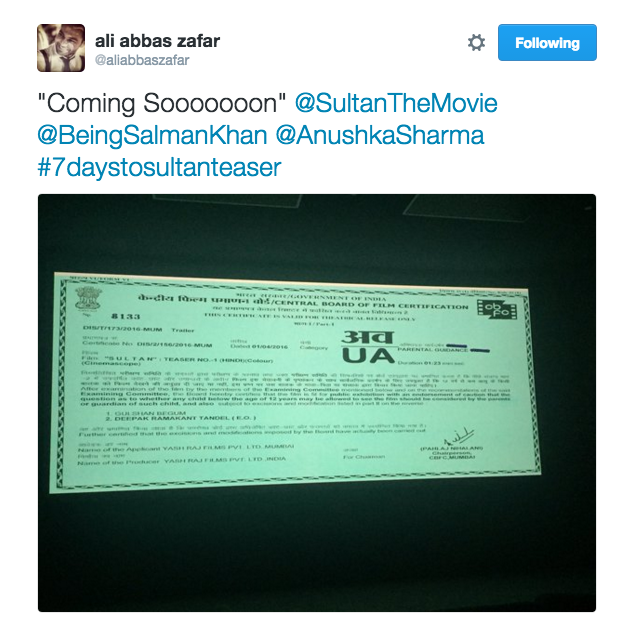 [tps_footer]Recently, we brought great news for all the Salman Khan’s fans that the first teaser of Khan’s much-awaited movie of the year, ‘Sultan’ will be out on April 14. Surprisingly, none other than actress Aishwarya Rai Bachchan will come in face off against Salman Khan, as her upcoming film Sarbjit’s trailer is also releasing on the same day. Though the two exes avoid coming face to face in real, but it seems we will see face off between them on screen. Both the films, Sarbjit and Sultan are the much-awaited films of the year and now we wait to see whatSalman Khan’s Sultan teaser and Aishwarya Rai Bachchan’s Sarbjit teaser has for the audience on April 14. 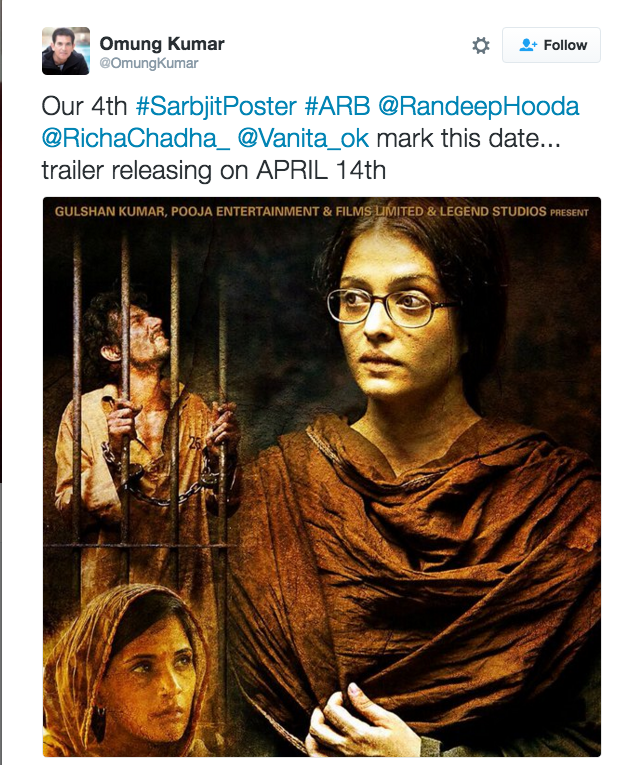 While unveiling the fourth ‘Sarbjit‘ poster on Twitter, director Omung Kumar today announced the trailer release date of the film, which stars Aishwarya Rai Bachchan and Randeep Hooda in the lead roles. Sarbjit will take the audiences through the untold story of the Indian slain prisoner Sarbjit who was imprisoned in Pakistan, mistaken for an Indian spy. Aishwarya Rai Bachchan will be seen in a de-glam mature look exuding real grit and pain as Dalbir Kaur. Previous articleAre You Ready To Watch Salman Khan In SS Rajamouli’s ‘Makkhi 2’? Next articleRahul Raj Singh’s Ex Lawyer Neeraj Gupta’s Revelations Will Leave You In Shock!